Occasionally, you may get a request for a link exchange, or you may just want to link to a site as part of your post, or you just like the site. Before you link to any site, it is good to check the PageRank of the site. In the first place, it will be advantageous to you if you exchange with a site that has a higher PageRank than yours. However, any link relevant to your site content, whatever the PageRank (as long as that site is not blacklisted) helps in the ranking. More important is to find out if the site has been blacklisted by Google. A site may be blacklisted for doing black-hat SEO (Search Engine Optimization) such as making certain keywords invisible by making the color of the font the same as the background, etc. It does not matter if a blacklisted site link to yours as Google knows you have no control over who link to you. However, you do have control over who you link to, and if you are unfortunate enough to link to a blacklisted site, your site will also be blacklisted. The question now is, how can you find the PageRank of a site, or more important, how would you determine if a site have been blacklisted. 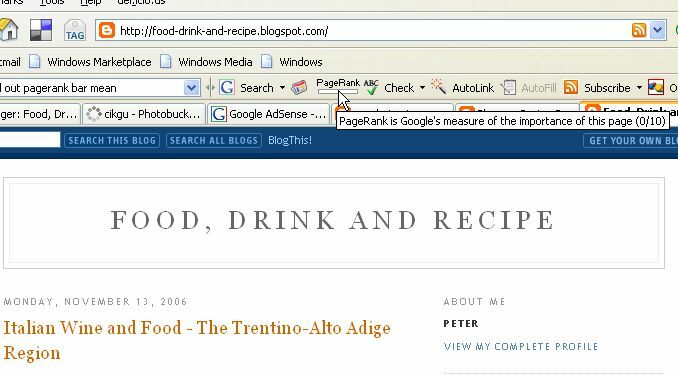 You can do this easily by installing FireFox with Google toolbar (close new window to get back to this page). After installing FireFox with Google toolbar, you should surf over to the site using that browser and look for the the PageRank icon, let your mouse hover over the box in the icon and the PageRank of that site will be displayed with value from 0 to 10. If the box is grayed out, and no value (not even zero) is shown, that means that site had been blacklisted by Google and you should not link to that site. Otherwise, your site will be blacklisted as well. However if http://www.iwebtool.com/google_banned finds no results for a blog or domain it assumes that the site is banned when in truth it may not of been indexed yet. I think I need to point out Peter that you should really check your resources. "At one time, the Google toolbar was a fairly easy and effective way to find out if you had been banned from Google: A completely gray PageRank toolbar meant that Google did not have that page listed in their index – either because the page was too new to have been indexed, or the page had been banned by Google." These guidelines are no longer reliable. Peter says ,"If the box is grayed out, and no value (not even zero) is shown, that means that site had been blacklisted by Google and you should not link to that site." Correction- "A completely gray PageRank toolbar meant that Google did not have that page listed in their index – either because the page was too new to have been indexed, or the page had been banned by Google.' therefore how can you say a grey out box means the site has been blacklisted. There are a great deal of blogs that have not been indexed yet. So you are are going to tell everyone that a grey out box automatically means banned and anyone whose blog that has not been indexed might loose a link partner because you have misinformed them. If your blog has not yet been indexed by Google the site:www.yoursite.com won't work. This does not mean you’re banned, it means you have not been indexed. Thanks for the tip. I've only recently learned of banned sites. Yikes.. my blog has zero google worth! Don't worry too mcuh about it. Your blog is probably new. Keep adding new content to it, and try to get links from other sites. Register with blog directories. Eventually, your PageRank will improve. Even if your PageRank is zero, if someone is searching for some specific search term for which your post will give a good fit, it can still come up at or near the top of the search result. Thanks Peter. I found out I never verified my site when I submitted it to Google. DUH! I kind of thought with over 10,000 hits in 3 months it should a LITTLE ranking hahaa! Thanks again. Kudos! I found your article very informational, i tried some out in my blog http://philippinenurses.blogspot.com. Thanks! My comment on Google help was that no matter what keywords I typed into my blog's search window, I got no result as an answer. And, because it was my blog, I knew these keywords were in various posts. And Google sent me to a discussion on page rank. Am I missing something? and it has been verified. Tx, Environman, but "verified"? I'm not sure how that solves my problem. Your problem is your blog probably did not feature in the first few pages of the SERP (search engine result page) therefore difficult to find. Who would scroll to the 1001th page for example. Solution would be to try to get your blog ranked higher the best solution would be to write good content which people would want to read. 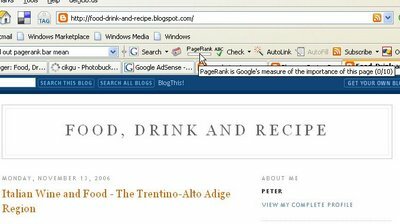 Or use the search box I have in my blog to search for SEO (search engine optimization), search engine, etc. and try what is recommended.